Get the best streaming experience with Kodi. Subscribe for a PureVPN account (Avail 1 Year Deal with most Savings). Kodi offers the most convenience when it comes to user experience. Keeping that user experience in mind, we have removed complications from our Kodi VPN add-on installation. Want to get native experience on Kodi when using our VPN add-on? You said it, we got it! We have designed our add-on keeping Kodi’s native design in mind. Our Kodi VPN add-on packs simple design and ease of use. 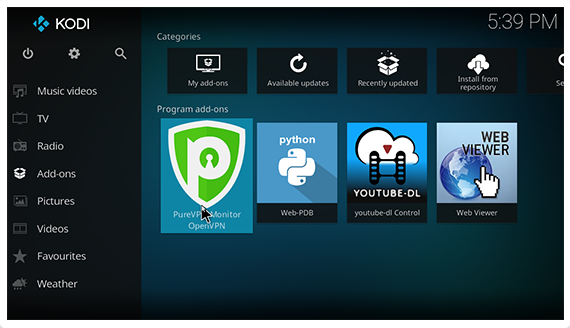 PureVPN is built to deliver maximum speed, security and accessibility to users for the best Internet experience. PureVPN’s users are spread all across the 6 continents. Enjoy secure, fast and anonymous internet experience.